When I was younger...let's say...5th grade, perhaps...I was spending a few days at my grandparents' house in Jacksonville, NC, and my grandmother gave me a slice of heaven. This heaven, my friends, was her frozen peanut butter pie. I promptly copied the recipe in my 11-year-old chicken scratch and insisted that my mother add it to her dessert repertoire. I have since added it to mine, but because I'm never satisfied to let sleeping dogs lie, I had to change it. While my tastebuds and nostalgia both adore the peanut butter pie, my curiosity chimed in with a resounding "why not try it with Nutella?" 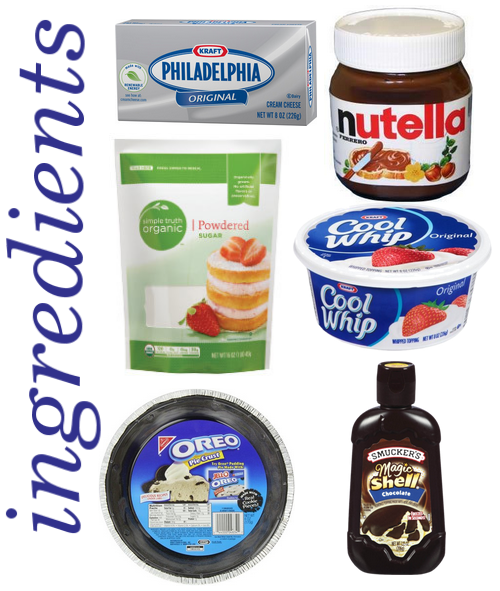 Allow all ingredients to reach room temperature (especially cream cheese). 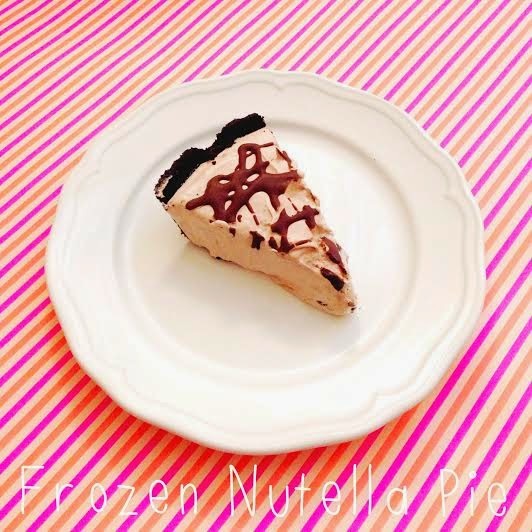 Mix Nutella and cream cheese thoroughly until smooth. Gradually mix in powdered sugar. Add container of Cool Whip and mix until everything is thoroughly combined. Pour mixture evenly into pie crust. Drizzle Magic Shell chocolate syrup over the top, cover with foil, and place in freezer. Freeze for at least 4 hours, and then be ready to wow your friends with your amazing pie skills.